Links can be found on ROM Manager or Goo-inside.me, depends on Release. 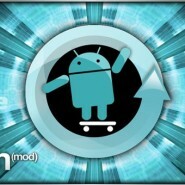 If you can’t find the link please read CyanogenMod 7 Development Thread. 4. Copy all these Downloaded files to your Phone’s SD Card. ClockworkMod – also known as Clockwork and CWM – is a custom recovery for Android phones and tablets that allows you to perform several advanced recovery, restoration, installation and maintenance operations on your Android device that aren’t possible with the stock recovery. Reboot the device into Download Mode by holding Volume Down + Middle D-Pad button + Power Button together. 3.Click on [OPS] button and browse for EUROPA_v1.0.ops file. 7.Click on [Start] button and wait until you see RESET or PASS above timer. After that you can Disconnect Galaxy5 from PC. 8.Phone will automatically Reboot into ClockworkMod that you have flashed. 1. Now in ClockworkMod Recovery, use D-Pad buttons to navigate Up/Down. 2. If you are upgrading from Eclair or Froyo, you absolutely must perform a data wipe: Select wipe data/factory reset and confirm the operation. Note that you will lose all of your user data, so be sure that you have performed a backup. Otherwise, skip to the next step. 3. Choose the option install update from sdcard -> choose zip from sdcard. You will see the two (or three) .zip files in the list, which you have copied before. 4. Select the base package named update-cm-20120X0Y-MADTEAM-galaxy5-signed.zip and scroll download and confirm it. Note : If you are upgrading from an older CyanogenMod version, you always need to re-install the Google Apps package, even if you had previously installed it. 6 Once the packages are installed you can reboot the phone by selecting reboot system now option. 7 Now you will see new CyanogenMod boot animation, the first boot may take longer than normal, due to Deodexing. 0 Respones to "CyanogenMod 7 Installation Guide for G5 Users"